Today was beautiful. 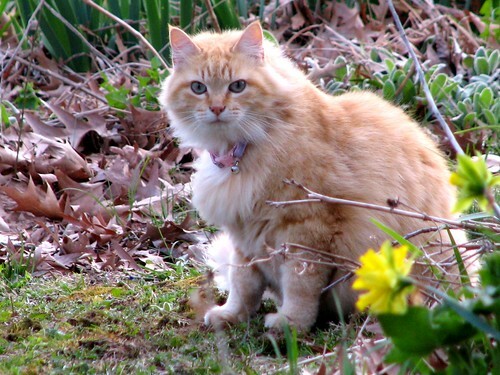 Sunny with flowers. I even mowed the back yard for the first time this season. But…Tomorrow is supposed to be rainy with snow in the evening. St. Louis is predicting 3″ with more to the west and north. Thankfully we are in the opposite direction. Perhaps it will miss us. Here are more pictures of spring taken in our yard this afternoon. 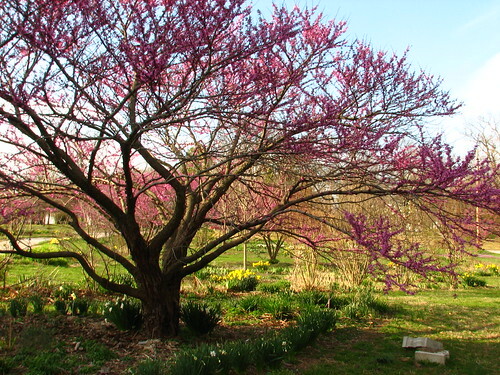 The redbud flowers are beginning to open. 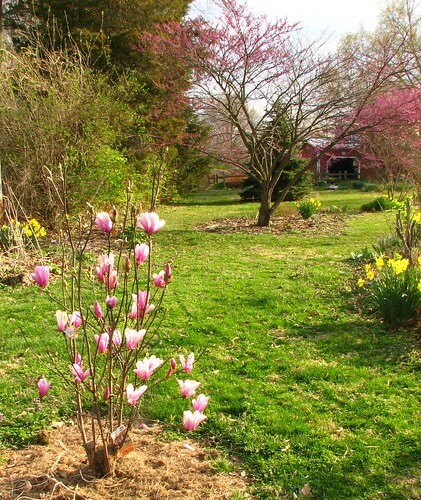 This magnolia was planted last spring and bloomed off and on all summer. The lawn looked so fresh and green after mowing. 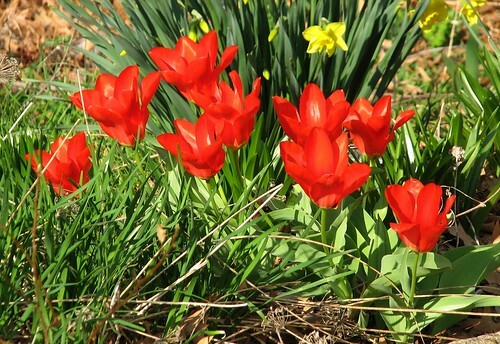 The red tulips can be seen all the way across the yard. We’ll have to get more of those. I’d like to put some by the mailbox and around the back door. 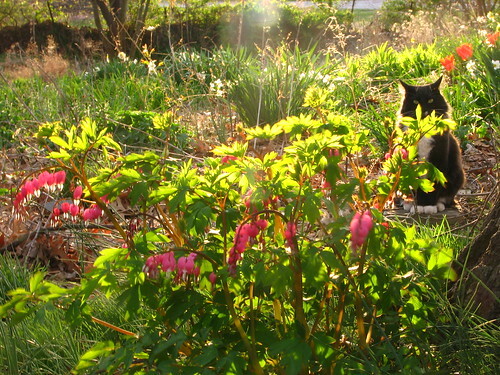 The bleeding hearts are suddenly tall enough for Zak to hide behind. 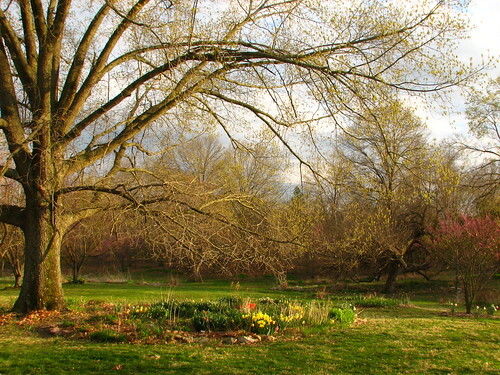 This entry was written by ~~Rhonda, posted on March 27, 2009 at 10:54 pm, filed under spring and tagged garden, spring 2009. Bookmark the permalink. Follow any comments here with the RSS feed for this post. Post a comment or leave a trackback: Trackback URL. 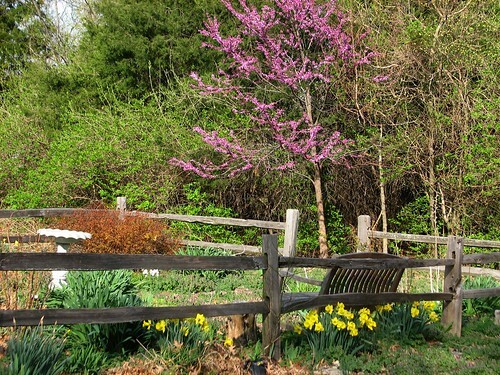 Thank you for sharing your spring photos. DH is excited about the forecast. He is hoping he can put down that March 28 was the last accumulation of snow for the year! I am loving the warmer weather! 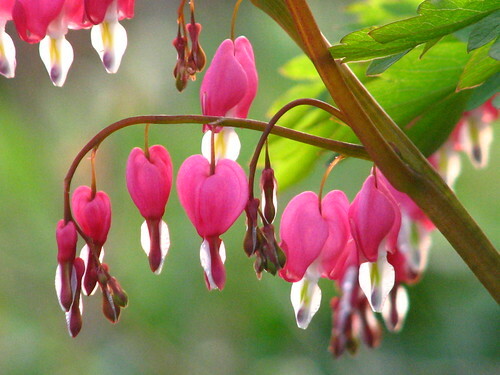 My bleeding hearts are getting big too. Checked it the other morning and it was just green, that same afternoon it already had little hearts hanging from it! WOW! I cannot believe how fast things can grow! Kathy, from TX to FL. My! You are flitting around the countryside! Have a wonderful time. I love, love, love FL. If it snows here, I will wish I were there with you! I am so envious of your yard!! Everything is breathtaking, we have a while to go before we see any buds on anything. Our yard is awful, it’s an odd shape and when they moved the house to this plot, they just left it in the middle of an empty patch. 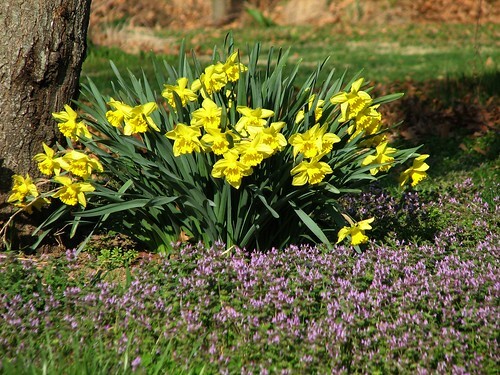 I’m no good with plants and trees, but I’m going to try some flowers around the house and maybe purchase some shrubs. Not sure if it will EVER look as fantastic as yours though. Maybe if we sell millions more cookies I can hire someone! !